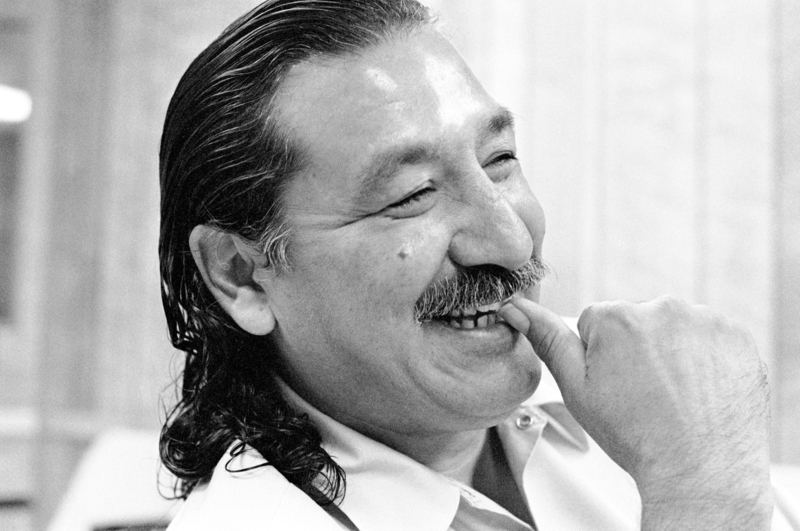 Help bring my father home: Tell President Obama to grant Leonard Peltier clemency. Many people—including judges, prison guards and legal experts—have agreed that his trial was unfair and corrupt. They’ve called for mercy, leniency and freedom—but he remains in prison. My father has become very sick and has an abdominal aortic aneurysm. The Federal Bureau of Prisons says it won’t take care of it until it gets even worse—but I’m afraid that it will be too late. His freedom would mean that he can get the help he actually needs. Please ask for the release of my father so we can spend the time he has left together. He missed so much of my life, important moments like graduations, and I had to remember he wasn’t missing these moments because he wanted to—he had no choice. My worst fear is that he will die in prison and I won’t have any real time with him. 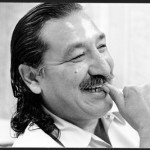 This entry was posted in Prisoners and People at Risk, USA and tagged Leonard Peltier, mass incarceration, united states, US prisons, USA by Guest Writer. Bookmark the permalink. My hart goes out to you and your father I pray you will find away ! I will ask for you & share your words Miranda ! I sincerely hope you achieve your goal of clemency for your father. It seems that he merits it, and I hope President Obama will grant him his freedom. I wanted to say a few words about the way in which his access to healthcare has been presented, because I think that you case for leniency is very strong, but it would be important not to imply negligence on the part of the Federal Bureau of Prisons, where it might not exist. Without knowing the details of your father's case, the surgery required to repair an aneurysm is major (as I'm sure you know) and it is standard practice not to operate until it reaches a "critical" size: where the benefits of surgery outweigh the risks, from what you've said it sounds like the Federal Bureau of Prisons is acting under these guidelines, and I'm not so sure that the situation would be different outside of prison. I think your argument would be stronger concentrating more on him suffering a serious health condition – as this is – and the already very powerful evidence that the trial, to begin with, was unjust. I hope you dad gets to come home. Will you help? Text is nice. However I ask that you educate yourself before offering free advice or commentary. Thank you for your sensitivity regarding the suffering of others. Sheila Lyon, K.C., Mo. ps. i just posted a comment, but it was more for Kathy than for the webpage, so feel free to pass it onto her if you feel that's more appropriate. Enough is enough. Let Leonard Peltier go home. I am Canadian, but we in Canada have always known of your Dad's plight…I am ashamed to say that over the years his story has faded into my 'background', although I always felt there had been an injustice done to him. Let's hope President Obama will give him his freedom after all this time, in order that he is able to spend spend some quality time with his family before he dies – surely the wish of all human beings. Happy Father's day to political prisoners everywhere. Please petition President Obama to set him free, as well as Mumia Abu Jamal. Both are frail. Release them home to their loving families. I do these things in memory of my own father who had a passion for fairness & integrity. Please President Obama,this is such a miscarriage of justice.Bless you,for reviewing this. Thank you, "Kathy", for sharing, words can not express the hurt I feel, for you and your family, and your dad's wrongful inprisonment, it's just so wrong on so many levels, you have my ongoing support, prayers going up for your dad, his health, your family and for his FREEDOM. Thanks again, you stay strong and hang in there, there are alot of "Brothers and Sisters", out here supporting you and your family, blessings, from a native "Sister", in Salt River, Arizona. "Sinnie"
Give this poor man his freedom. He has been in jail for 40 years even with the judge saying he did not get a fair trial. To me it sounds like he's still there because he is a Native American. What the hell kind of justice do you have in that state? Set the man free to enjoy the life her has left. He took the Fall For All of us. He never killed or did Harm. This is the treatment the Native Americans get in this country, yet these dumb asses will gladly bring in boatloads of muslime terrorist's! Free him ! let him be with his family in the name of Jesus! La culpabilité de Léonard Peltier n'a jamais été prouvée. Il se meurt de maladie en prison depuis 40 ans et il urgent de le libérer et de le laisser finir ses jours dans sa famille. Ce serait un acte de justice et d'humanité. Dear Kathy , I sent the letter, and passed it on to my friends. I wish with all my heart that your wish will be granted. I sincerely hope your father will be released on the grounds of unlawful conviction! Our prayers are with you all! Leonard Peltier. Same with web usage. I will NOT give up. My phone # is as follows: 816-394-6039. Call me. I have not been able to get people to care or take act. Please know, I will not quit. You are in my Heart.I am Sheila Lyon.